Wisdom Industrial Group is located in Shenzhen Guangdong, including Wisdom Sanping Mold and Wisdomacro Technolgy. Wisdom Mold is equipped with a 4000sq. production facility and a total workforce of 150 people. With our main expertise in high quality plastic tooling(Of course ,including some silicone toolings,die-casting toolings,blow toolings), we also provide specialized service like plastic injection, secondary processing and assembly. We were approved as ISO9001-2008 certified company in 2003 and are applying for TS16949. Equipped with abundance of advanced facilities imported from Germany,Japan and Switzerland, like high speed CNC(Deckel MaHo), slow wire cut machine(Sodick) and precise EDM(Charmilles), we not only guarantee the precision of mold but also assure the high efficiency. The company has strict training system for all the staff to ensure the proper operation by minimizing mistakes, which give the best guarantee of lead time as well. Quality control for all our products and components above everything and we believe in "Quality above everything", for which, we continue to invest the best resource on quality improving, including the investment in processing and inspection facilities, R&D department, and management means. Our target is zero defects with products. 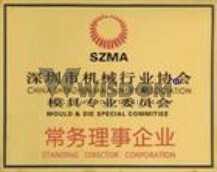 The company was promoted as the member of Shenzhen Machinery Association Die & Mould Committee by Shen Zhen government. 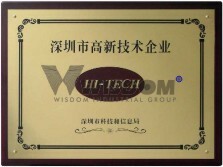 It was honored with High-tech enterprise of Shenzhen in 2008.